WASHINGTON (Dow Jones)–General Motors Co. has begun to once again contribute to political campaigns, lifting a self-imposed ban on political spending put in place during the auto maker’s bankruptcy restructuring last year. The Detroit auto maker gave $90,500 to candidates running in the current election cycle, Federal Election Commission records show. The beneficiaries include midwestern lawmakers, mostly Democrats, who have traditionally supported the industry’s legislative agenda on Capitol Hill, including Sen. Debbie Stabenow (D., Mich.), Sen. Sherrod Brown (D., Ohio) and Rep. John Dingell (D., Mich.). The list also includes Virginia Rep. Eric Cantor, the House Republican Whip, who would likely assume a top leadership post if Republicans win control of the House in November. Seriously, our current government is more corrupt than anything we’ve seen in our short history. The politicians vote to take our money as tax, use our money to pay off and take over one of the biggest companies in the world, and then receive money back in their own pockets. This is not a normal US business any more folks, this is a government owned business. How stupid are we to continue to elect these criminals. No chance I’ll ever by a GM car again. Tamino’s wrote a quick reply to Dr. Loehles vindication post at WUWT. The post ended with this comment. Gee. When compared honestly, Loehle’s so-called “vindication” becomes an indictment. What a surprise. Below is the first graph from his site which Dr. Loehle used to point out the amazing similarity of a new article by Ljungqvist in comparison to his own work. Work he was excoriated for by the flat handle hockey team members. This might work, let’s design a reasonable survey of AGW opinions. People don’t like the VonStorch blogs work very much but if the design was done better, it could better represent the various views. Steve Mosher would probably be a perfect guy to do the whole thing but what I’m looking for is a survey along the Die Klimazweibel style representing all positions with reasonable questions and non-leading answers. This concept might flop completely but I bet with enough participation in the design, it could turn out to be a reasonable survey. It should cover the readers positions on IPCC positions on solutions, projection and models with the simplest possible form. It’s amazing if this is true. I don’t know many who are predicting extreme cooling of any kind in the near future. Anthony Watts pointed out a 2015 alignment of cyclic ocean temperatures in their cold phase, but that should be a short event. Still, it doesn’t matter which way temperatures are going to the politicians as long as it is man made, and is something expensive to fix. This was sent to me by email. It is James Delingpole of the UK Telegraph again. He has just today (28 Sep 2010) broken the news about the 58th Bilderberg Meeting on 3 – 6 June 2010. This time the meeting, held in Sitges — a small Spanish city known for its tourist attractions — was attended by approximately 130 leading citizens drawn from Europe and North America. The list included leading politicians, economists, CEOs of financial institutions, industries and banks, authors, and so forth. Çakir, Ruşen, the journalist with Watan Daily of Turkey, was the only one from media. Mercifully, Bush, Blair, Al Gore and Pachauri – the great political and climate fixers — were not among the participants. Skeptics survey at Die Klimazweibel. I think that climatologists are struggling to understand people who don’t go along with the IPCC conclusions. I think it’s an honest approach although the survey questions won’t support anyone’s views well. Ah well, it looks like the UN isn’t going to appoint an ambassador to outer space. Apparently several newspapers got the story wrong. Sorry for that guys, I wonder what made the telegraph think they knew what the UN was going to do? hmm. Still warm from the presses, the UN Office for Outer Space Affairs (Unoosa) has decided to expand its role in our galaxy. Mazlan Othman, a Malaysian astrophysicist has been given the role of first contact for any aliens visiting Earth. Yes that’s right, the UN, seeing all countries and cultures in the world are equal, and having such deep pockets rife with US dollars, has appointed a Malaysian astrophysicist as Earths primary contact person. After all, who better to represent Earth than an elite woman from an impoverished country with a repressive and immoral government. Not that Mazlan Othman is unqualified, currently her work has revolved around such important issues as what Muslims should eat in space, and which way they should face while praying in orbit, serious concerns of the day. Well it would be important if Muslim governments weren’t so generally repressive that they had functional space agencies. Now I’m not implying that Unoosa is not an important organization (bull), but really, is this where you would invest your hard earned dollars? — you just did….. Someone call Obama and tell him a great way to save cost would be to sanction the UN for assigning themselves ever stupider jobs. And yes this does mean stupider is now officially a word. They are actually discussing protocols and methods of how to handle the imagined situation. Well thank God Allah that they have chosen genius representatives like this for first contact, I’ll sleep better knowing that humanity has put its best foot forward. My guess is that the politicians from both species will not need universal translators to communicate, and will very likely understand the meaning of each others political ‘culture’ even if one of them is bacterial in nature. More rare than the alignment of four planets or a politician actually reducing government, it appears that Phil Jones and Anthony Watts have accidentally agreed with each other – at least a little bit. By email, Anthony called my attention to a post he particularly liked by Juraj Vanovcan. It’s well written and explains a point which seems rather obvious, the surface temperature of the ocean drives air temperature, not the other way around. The total energy content of the ocean is about 1000 times greater than the atmosphere. What’s not often understood by some is that the bulk of the ocean is very cold (3C ish) and only the surface is warm. 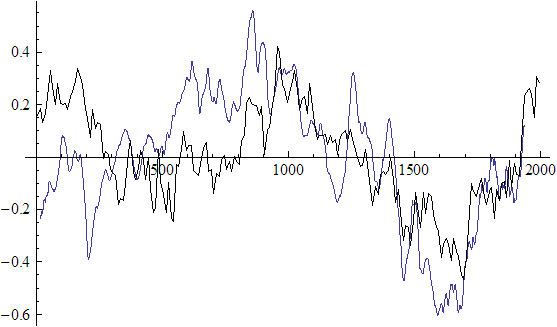 Flip the surface in exchange for cold deep water and you get at least a temporary but severe ice age. This link has an excellent layman’s description of the ocean temperatures. Now today’s standard climate model theory expresses that aerosols (soot) suppressed past temperatures and in the 60’s and 70’s aerosol regulations cleaned the air enough to allow the full scale of global warming to begin to be realized. Below is a global temperature curve by Zeke. Catching heat is the purpose of every internal combustion engine ever developed. Anywhere you see a hear gradient (difference in temp) between two objects, there is energy flow available and energy to be captured. Think of it as a pre-charged battery. 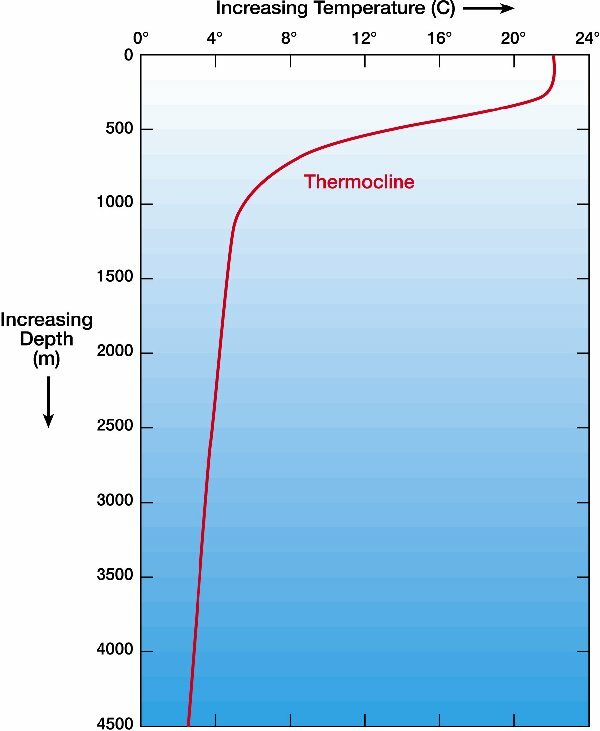 Warm ocean surface water vs cold subsurface, hot engine vs cold air etc. The problem is that small differences in temperature are hard to work with. I received a link today from a reader I won’t name without permission, he linked to an article on what seems to be a breakthrough in thermoelectric generation. “We anticipate the thermoelectric voltage using our design to be about 100 times larger than what others have achieved in the lab,” Stafford added. Now thermoelectric completely stinks as a generator these days but a 100 times improvement is pretty substantial to say the least. I’m not enough of an expert on the cutting edge but if you want to even get 10 milliamps at 3 volts out of a $50 pieltier effect device, you had better have a hundred degrees of temp difference. I’m sure many people who read that will have corrections and additions, but that has been my experience. The news article at University of Arizona is here. Again, I’m not enough of an expert to validate any claims or even judge their significance, but it does sound interesting for at least one application I can think of. People send me stuff. This link is to a critique of the McShane and Wyner paper by Schmidt, Mann and Rutherford. Now I’m not a big fan of MW10, it is just another method for crushing historic variance in favor of present time – hockeystickinator. There was an additional critique by Tingley. Unfortunately, I’m required to work for a living and won’t be able to do complete justice to these comments right now and my laptop, and internet died last night. Both – seriously both, unprecedented for sure. I’ll do my best to post some things but it is going to cut into my time on line dramatically. Anyway, the team likes to pretend that all the demonstrations that Mann’s hockeysticks are junk math, simply don’t exist. I have no clue why more cores need to be used to ‘accept’ data. It has all got a very weak signal anyway (if at all) why not use more of it? So Mann uses an arbitrary 8 core minimum for his selection – it’s still arbitrary and has no statistical meaning, I think it just makes them mad that the medieval period isn’t as flattened as the demonstrably very lossy Mann08 methods of picking preferred data. The balance between ‘Natural Variability’ and ‘Man-Made Impacts’. Some comments on Judith Curry’s blog post on ‘Doubt’ explored what we know about the causes of ‘Natural Variability’, and hence whether we can predict it based upon that knowledge, or whether the null hypothesis of more of the same is the best and simplest option. Clearly without some assessment of likely natural variability, discerning man’s fingerprint becomes harder. I have some personal experiences which I think can shed light on this question. I am however aware, and my therapist has been of use here, that distinguishing my fingerprint from natural variation and natural trends, and being specific about attributing changes in temperature, climate, and extreme weather events to my actions in the Campbell household is not easy. She has suggested that feelings of guilt may be at play here, the allocation of scarce time and resources, and the all-important impact that population explosion can have on the environment. Oliver K. Manuel left this version of Sutton’s law in a comment last night. On this we think alike. Today we have the ability to make safer better nuclear plants than ever before, and the more we implement them, the less pollution we emit. Theoretically of course. My opinion is that even with massive money spent on implementing nuclear power worldwide and regulations made on CO2, humanity will still burn the coal. Even if we have all the nuclear power we want in the US and cleaner thorium reactors or some kind of fusion reactors are built everywhere, the coal will still be heavily burned. 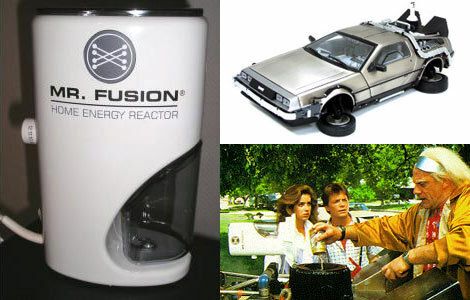 If Mr. Fusion is developed for $1000 tomorrow and we can simply chuck old beer cans in it, then we can save the coal, if not, the coal is toast. I still laugh when I think about Pielke’s ‘decarbonization’ paper. He and his coauthors outlined a process by which slightly less carbon is emitted per joule generated each year as the path to green salvation. With China and India as building hundreds of new plants with 40 or 50 year expected lifespans. I don’t care if they are slightly more efficient — the difference in efficiency of a coal plant is entirely, completely and without any question — moot. It takes an amazing twisting of reality to imagine anything different. My god man, it’s burning coal, it does release CO2 in proportion to the amount of H-C bonds broken. Duh! And now from the hall of silly walks, Oxburghs testimony to parliament is on line. Thanks to Andrew at the Bishop Hill blog for pointing it out. And just how hard did Oxburgh work to put ‘trick to hide the decline’ in context. Well apparently reading the emails he was investigating was outside of the scope of his purview. Reading the emails in question after all could bias his opinion, um, of the um emails. After all any ‘open minded’ person would be able to see trick has multiple meanings and reading the words around the word trick would be akin to mind reading. You remember, the emails, that discuss the problem with declining data not matching the storyline, and how to best present the graphs, all leading up to just chopping off the offensive and inconvenient ‘data’. No need to read that extraneous stuff. Lord Oxburgh: Let me start by saying I did not study the e-mails. We were told that Muir Russell was going to be looking at those carefully. But certainly I was aware of that from the attention it got in the newspapers and so on at the time. I looked up “trick” in the Oxford English Dictionary, actually, at that time, and, if I remember rightly, the Oxford English Dictionary gave it nine different meanings, one of which was “Special technique or way of doing something.” I think, having looked at that, that anyone in the field reading that with an open mind, would actually take that meaning of the word “trick”. Full text of his explanation of his crack in depth investigation here. You have to be an idiot. Make that two boxes of rocks. I’ve often written that the Antarctic isn’t melting any time soon. I doubt that non-climatologists realize just how much the Antarctic has to warm to even think about melting. For this demonstration, I’ve downloaded the Reader temperature data from the BAS. Most of the below code was written by Ryan O.